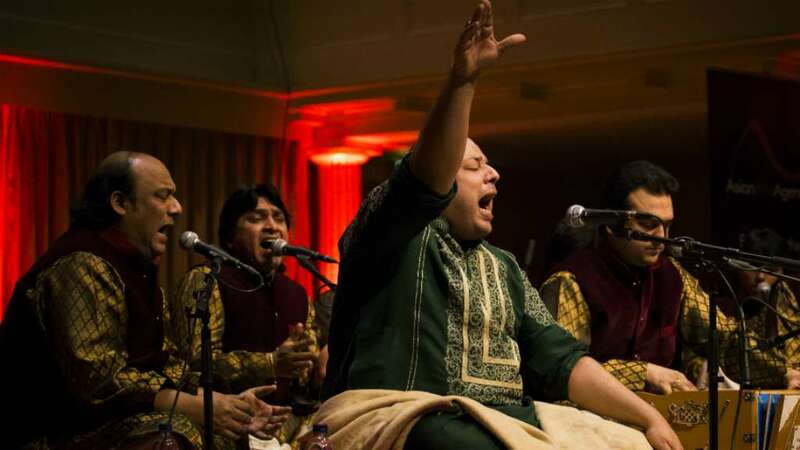 Rizwan-Muazzam Qawwali, nephews of late Qawwali legend Nusrat Fateh Ali Khan, toured to six prestigious venues around the UK in March 2017, receiving wonderful praise and fantastic receptions from audiences across the country. The reception to the tour on social media was phenomenal and the tour has also received some fantastic press reviews. We’ve created a Storify – featuring some reactions from audience members on social media during the tour – check it out at on Storify. You can read a great review from the Bristol gig via Bristol 247. Read a review from the show in Leeds, via Simon Godley at God is in the TV. 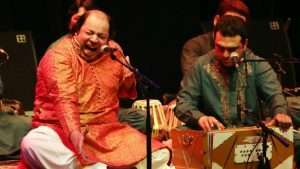 The UK tour, produced and managed by Asian Arts Agency, marked the 20th anniversary of the death of their great Uncle, legendary Pakistani Qawwali singer Ustad Nusrat Fateh Ali Khan, and Rizwan-Muazzam paid a wonderful tribute, performing some his most famous and iconic Qawwali songs. Some of the classics performed on the tour were ‘Must Must‘, ‘Mast Nazron Se Allah Bachaye‘ and ‘Jana Jogi de Naal‘. UK audiences were mesmerised by Rizwan-Muazzam’s spectacular interpretation of classic Sufi texts, hypnotic vocal repetition, and ensemble of traditional instruments and rhythmic handclaps. The audience participation and standing ovations truly reflected the powerful impact of Qawwali music, and particularly the incredible talent of Rizwan-Muazzam. The concerts at Howard Assembly Room, Leeds, and Barbican, London, sold out in advance, with all other venues having near full houses on the night! The stunning performance at the Barbican, London, was also live streamed via Boilerroom TV to an audience of over 100,000 viewers around the world. We will be uploading some live videos from the tour in late April. For a full list of tour dates, visit our Rizwan-Muazzam Qawwali tour page.